The president of the United States says Americans should “give thanks” to Saudi Arabia for the relatively low cost of gasoline. I don’t think I’ll do that. I will give thanks instead to a domestic energy policy that has enabled the United States to achieve energy independence. I’ll give thanks to a president, Barack Obama, who had the foresight to insist on an energy policy that sought to develop alternative sources of energy. I’ll also give thanks to automakers for developing more fuel-efficient motor vehicles. My wife and I own one, a Toyota Prius, that we gas up about every, oh, three or four weeks. No, I don’t believe the Saudis are our friends. They are murderers. The president likes to foment fear of terrorists coming to this country from Latin America. Hell, the Saudis are the breeding ground for terrorist monsters; 15 of the 19 hijackers who flew those commercial jets into the Twin Towers and the Pentagon on 9/11 hailed from Saudi Arabia. Am I going to give thanks to Saudi Arabia for anything? Cheap gasoline? Energy independence? For their alliance with us against Iran and other hardline states in the Middle East? Bloomberg News reports that the price of gasoline is about to plummet. Good news, yes? Sure, if you’re a motorist who dislikes pouring money into his motor vehicle fuel tank. I’m one of those. If you’re a government official who serves a state — such as, say, Texas — that depends on oil revenue to fund government services, well, the news isn’t so great. My self-interest makes me happy about the news. OPEC is refusing to cut production of oil. U.S. supplies are at an all-time high. We’re driving more fuel-efficient vehicles these days. We’re developing alternative energy sources. Hey, it’s all good. I don’t like paying nearly four bucks a gallon for fuel, which is what we were shelling out two years ago. Today, the price of gasoline in Amarillo is around $1.62 per gallon. It’s interesting, too, to note the silence from Barack Obama’s critics now that fuel prices are heading south. When they were skyrocketing in the other direction about midway through the president’s first term, the critics were blaming him personally for the hardship. These days, he’s getting none of the love. Does he deserve it? Aww, probably not. Neither did he deserve the blame when the prices were going the other way. Thanks, OPEC, for the holiday gift. Merry Christmas to you, too, OPEC. Politicians’ positions can “evolve,” yes? That means bloggers can change their mind, too, I reckon. So it has happened with the Keystone XL pipeline. I once blogged in support of the notion of running the pipeline from Canada, through the heart of the Great Plains to the Texas coast. The price of gasoline was skyrocketing. We needed some way to put more fossil fuel into the international market, I said back then. What has happened? Jobs came back. Oil prices fell sharply. So did the price of gasoline. 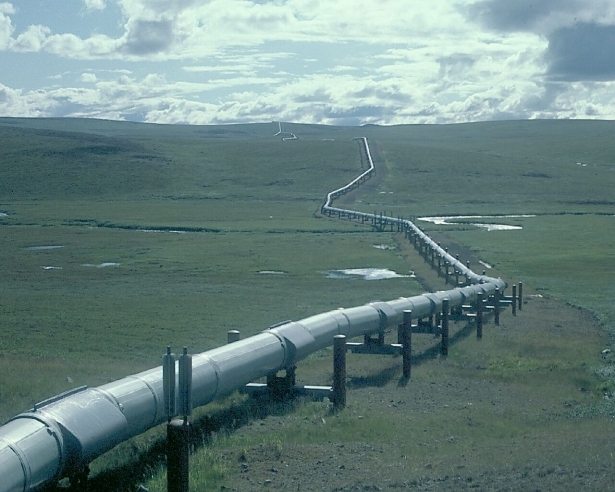 The need for the pipeline? Well, it’s no longer compelling. President Obama said “no” to the pipeline this week. The fallout has been reduced significantly because of economic and environmental factors that have turned in our nation’s favor. I now believe the president’s rejection of Keystone makes sense. The president nixed Keystone because it wouldn’t help the U.S. consumer market, given that the oil would be refined here and then shipped offshore to … wherever. Plus, there is that environmental concern about possible spillage and leaks from a pipeline that would coarse through nearly 2,000 miles of U.S. territory. Those things do happen, you know. The damage is significant. Oh, and the jobs it would create? They now appear to have been minimized because private-sector job creation has been heating up nicely over the course of the past half-dozen years. So, good bye to Keystone. Sure, our Canadian friends are unhappy. So are some refiners on the Texas Gulf Coast. The rest of us? Well, I think we’ll be all right without building the Keystone XL. Did you see what I saw this morning while driving to one of my four part-time jobs? The price of regular unleaded gasoline has dipped to less than $2 per gallon in Amarillo. Good news, yes? Well, I think so. Motorists such as my wife and me do not enjoying shelling out big bucks for gasoline. Our Prius hybrid has more than paid for itself in fuel efficiency. We’ll keep for as long as we possibly can. Heck, it might live me. But I get the downside of the lower prices, particularly in states — such as Texas — that rely on oil revenues to fund things such as, oh, state government. State Rep. Four Price, an Amarillo Republican, told the Rotary Club of Amarillo the other day that the next Texas Legislature is likely to receive some not-so-cheery news from the comptroller’s office when it convenes in January 2017. It will be that oil revenue will be down sharply from the current budget cycle and that the state likely will not have the projected revenue surplus it got when the 2015 Legislature convened. I get that. I also understand that $100-per-barrel oil is more profitable to pump than, say, $42-per-barrel crude — which is about what it’s drawing these days. But you know what? I am not going to waste too much emotional energy worrying about those ancillary effects when my household is getting a significant break in its weekly expense obligation. Don’t you hate it when you show your age to a young person who doesn’t quite get the reference? It happened to me today while I was working one of my four part-time jobs. I was sitting in the break room at the car dealership where I work, visiting with a courtesy driver who’s about eight years older than I am. In walked a young salesman. We started talking about how his sales business was going. My courtesy driver friend and I exchanged looks — and then laughed out loud. So, there we have a clear definition of what I’ve termed the “new normal” at the gasoline pump. When gasoline sells for $2.50 per gallon for regular unleaded and that’s considered “cheap,” well, that signals a new way — in my view at least — of assessing the relative price of a common commodity. I reminded my good friend — the young man — that when gasoline hit $1.50 per gallon, some of us became apoplectic. I don’t think he quite got it. My other friend — the older one — surely did. ADRIAN, Texas — It’s weird how economic trends can make one look at virtually everything a little differently. Often, we long for the old days. Not today when my wife and I noticed a sign on an abandoned gasoline service station on the south side of Interstate 40 in this tiny town just this side of the New Mexico border. A Shell gasoline dealership went dark I’m guessing about a year ago. How do I know that? The sign for regular unleaded gasoline read “$3.89.” That would be the price per gallon of gasoline. Let’s flash back for a moment to the time when gas prices were skyrocketing into the ionosphere — or some layer far above Earth’s surface. You’d see a sign in front of a vacant gasoline station and it would advertise a price of, oh, let’s say $1.89 per gallon of regular unleaded gas. You’d long for the day when prices would return to that level. Well, today we received a signal that sent precisely the opposite message. We do not want to see prices return to the total posted on that empty Shell station perched on the farthest western edge of the Texas Panhandle. We rolled into Amarillo a little while later and were pleased to see that prices hadn’t spiked too terribly while we were away for a week out West. Perhaps we ought to preserve these relics just to remind us what can happen to the price of fossil fuel when we get careless with the way we use it. What about consumers of oil? The media and others keep reporting about the impact that the collapsing price of oil is having on the oil industry and those who work in it. I feel for them, with their jobs on the line. It’s getting less cost-effective to explore for oil and produce it when the price falls from $100-plus per barrel to less than $50. But what about the consumer? What about the family that is now spending considerably less for gasoline then it was a year or two ago? How about those folks who suddenly find themselves with more disposable income, money to spend on other essentials — such as, oh, food and clothing? The recent uptick in fuel prices is now expected to revert to recent trends as the nation’s oil glut continues to grow. It’s been an amazing spectacle to watch as street-corner gasoline dealers drop prices as many as three times daily. I’ve talked here about the “new normal” in gas pricing being elevated to heights none of us imagined when we were much younger and were spending about four bits for a gallon of gas. I remember my parents pulling up to the gas pump and telling the attendant, “I’ll take a dollar’s worth of regular.” We won’t return to those days, but we’re a lot closer to them today than we were in 2013. It’s that result that prevents me from crying too heavily over the fortunes of those who work on the oil field pipelines or at the refineries that turn crude oil into gasoline or diesel. My wife and I will keep driving our hybrid motor vehicle — just like millions of other Americans — and will keep working to build up that supply of fossil fuel that contributes to the plummeting price of gasoline. Here’s a thought that perhaps didn’t cross your mind; I didn’t think of it. It’s the idea that skyrocketing gasoline prices slow drivers down, make them think about quick starts and stops and keep them more alert on our streets and highways. Yes, they conserve fuel by driving more slowly while starting and stopping with more care — but they also make the streets and highways safer for everyone else. A discussion on this topic occurred this morning on National Public Radio. 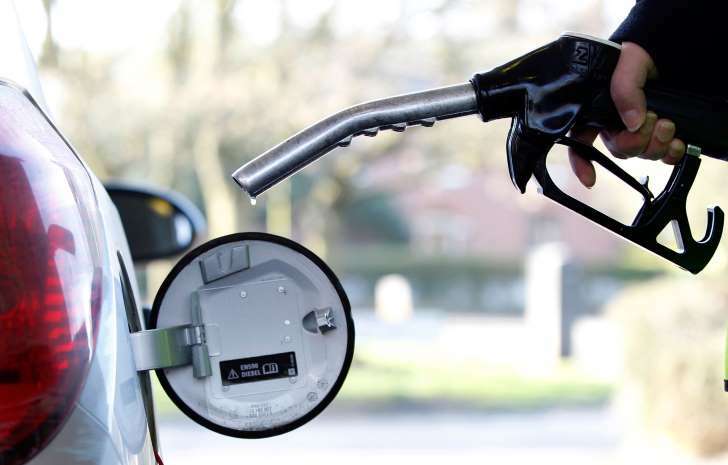 The interview discussed the plummeting gasoline prices and what it might do to drivers’ awareness of the need to conserve fuel. Accordingly, if drivers no longer are as concerned about fuel economy, they likely might drive more quickly and revert to relatively hazardous driving habits — which, therefore, make our public thoroughfares more dangerous. Wow! None of this ever occurred to me. Gasoline in Amarillo as of this morning is down to $1.87 per gallon of unleaded regular; diesel is down to around $2.85 per gallon. None of this really means I’m about to go speeding around the city with nary a care in the world. I trust it won’t do the same to others, although still others might throw caution to the wind and push the pedal to the metal. Energy analysts tell us the price of oil is continuing to fall and will keep falling for the foreseeable future. It’s below 50 bucks a barrel as of this morning. I’m not one to want to pay more for a product I consider essential to my existence. Therefore, I’ll settle for paying less for gas — and hope that my fellow motorists will continue to observe safer driving habits. So-called “experts” on energy prices and policies keep telling us the same thing. The downward spiral in oil and gasoline prices is going to continue perhaps well into the new year. But watching the price ticking down — often more than once daily — continues to make me nervous. The price of unleaded gas has now dipped to less than $2 per gallon in Amarillo. I work part time across the street from a leading gas dealer here and I’ve seen the sign tick down as many as three times during a single day. The experts aren’t saying yet how cheap they think gas will get. Supply is up. Demand is down. American drillers keep producing oil like there’s no tomorrow. But everyone knows how free-market economics works: If the supply keeps outstripping demand, eventually the suppliers will scale back their production to even out the inventory of oil and gasoline on the market. The result inevitably increases the price of gas a the pump. As we’ve all seen for the past several years, gasoline increases in price at a far quicker pace than it decreases. Hey, I’m not predicting gloom and doom at the pump. I’m merely suggesting that I’m getting quite used to paying the same amount for gas that I was paying five years ago or longer. 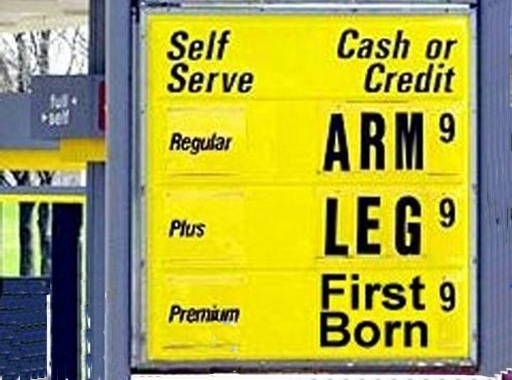 The “new normal” in gas prices had produced a certain form of numbness to the prices we were paying. Now that new normal has been shaken — but in a positive sort of way. It still makes me nervous about what could be coming down the road. Declining oil prices bad for economy? Economics isn’t my specialty. Indeed, I don’t have any specialties. I’m trying to understand why some economists now think the declining price of oil and the concurrent drop in gasoline prices is somehow bad for the recovering U.S. economy. Does anyone else remember when crude prices were skyrocketing from, say, $40 per barrel to more than $100? The stock market went bonkers. Investment accounts were drained of billions of dollars. However, the oil industry made a gigantic comeback. NPR this morning did a story from West Texas detailing how pump jacks that once stood like dinosaurs have jumped back to life and are pulling out of the ground. A lot of other factors have contributed to the nation’s economic rebound. Moreover, a lot of factors are contributing to the glut of oil that’s driving its price downward. Now we hear that the economic recovery might be jeopardized by the plunge in oil prices. The oil boom might fizzle out at the production end, but what about the increase in disposable income for motorists who aren’t pouring as much money into their fuel tanks? Will they be able to spend more of that income on other essential — and non-essential — items? Economics can be a complicated issue. This oil price up-down cycle has me confused.